Valley Electric Association’s board of directors has named Angela Evans as CEO of the cooperative. Evans has been interim CEO since May. Jeffrey Meehan/Pahrump Valley Times Angela Evans, CEO of Valley Electric Association, speaks at an ambassador's meeting on Sept. 6, 2018 at Valley's conference center. Evans was named CEO of the co-op on Friday. Special to the Pahrump Valley Times VEA CEO Angela Evans with the Ambassador Youth Committee Chairwoman, Sonja Filarowski and Executive Vice President Cassandra Selbach. 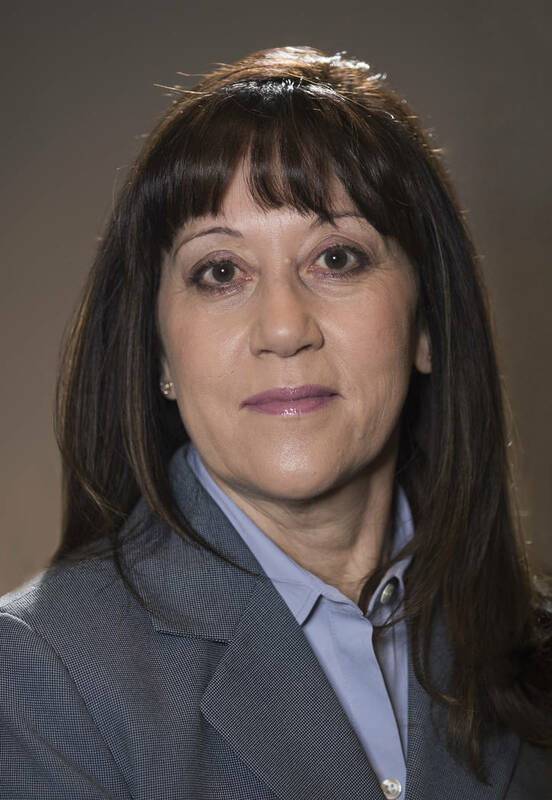 Special to the Pahrump Valley Times/Valley Electric Association Angela Evans, who was named interim CEO of Valley Electric Association in May, was named CEO of the co-op on Friday. Evans joined the co-op in February 2017 as executive vice president of operations and has worked in various executive-level roles since that time. 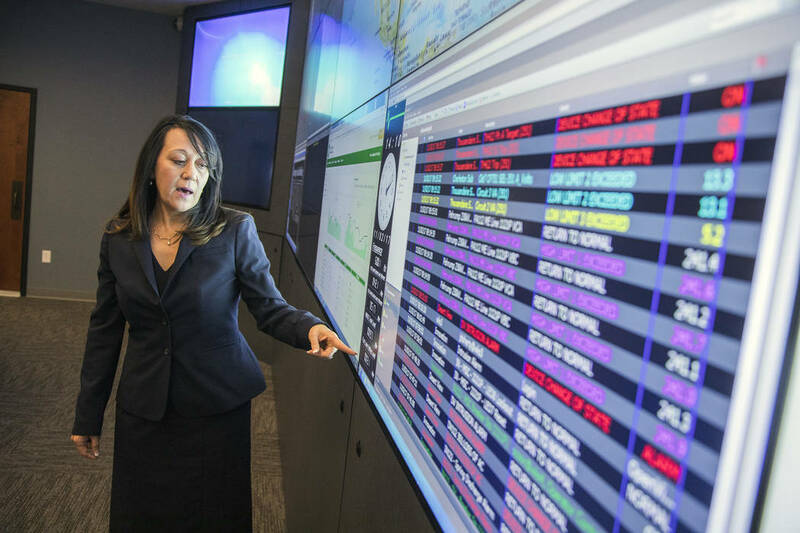 Special to the Pahrump Valley Times Angela Evans, newly named CEO of Valley Electric Association, in the control room at Valley Electric Association in 2017. Ken Derschan, president of Valley Electric’s board of directors, announced Evans’ new role on Friday. “The cooperative has a cohesive executive team that we are confident can lead VEA into the future,” he said. Evans, who has worked at the executive level at utilities for over 18 years in New Mexico, Texas, California and Nevada, joined the cooperative in February 2017 as executive vice president of operations. 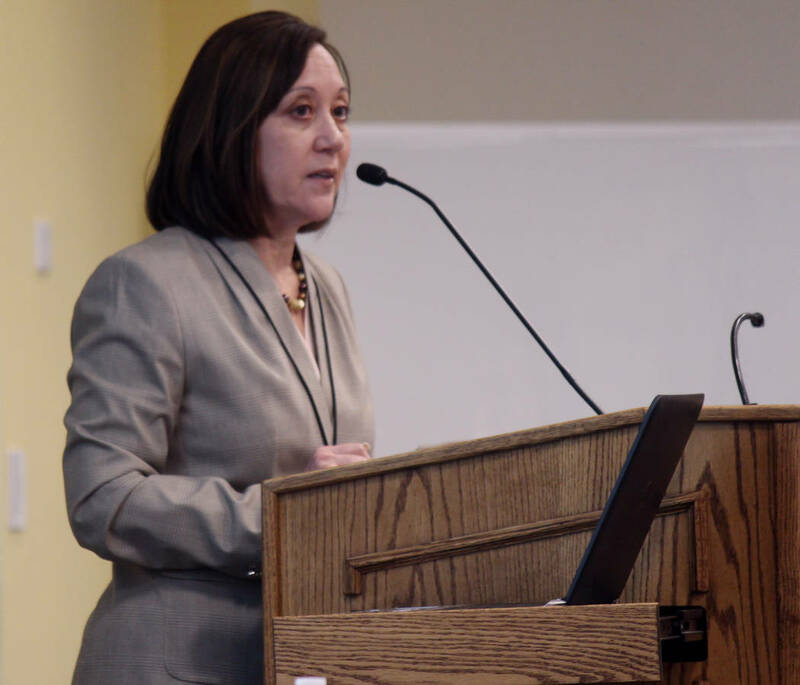 She was later named chief operating office of the co-op and then interim CEO in May 2018 when former CEO Thomas Husted announced his retirement. She is a native of Santa Fe, New Mexico and has held several roles in the utility industry over the years. \Evans was the manager of the distribution services and maintenance operations for the Imperial Irrigation District in Indio, California from 2011 to 2016. From 2000 to 2010, Evans served in various roles in New Mexico and Texas. The new CEO worked as the director of utility operations for PNM, New Mexico’s largest utility provider, during that period, along with holding several management roles at Texas-New Mexico Power Co. in Texas. Evans earned her bachelor’s degree in political science from the University of New Mexico. 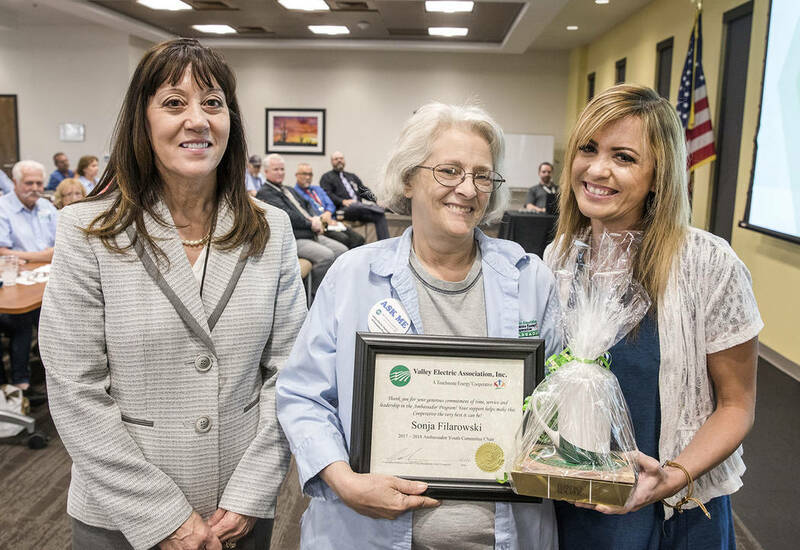 Evans had been vying to stay in her role as CEO, she stated in past interviews with a reporter from the Pahrump Valley Times. The announcement comes just after the announcement that the CEO position had been offered to Byron C. Nolde, who currently holds the CEO title at Oconto Electric Cooperative in Wisconsin. Just days after the announcement that Nolde would take over as CEO on November 5, Valley announced he was not planning to take the position. Nolde said he had received a counteroffer from his current board and was staying in Wisconsin. The board had been on a nationwide search to find a new CEO that began after Husted’s departure prior to naming Evans. Valley was assisted in its search efforts by Ken Holmes, director of executive search for the National Rural Electric Cooperative Association. Valley Electric Association Inc. (VEA) is a member-owned nonprofit electric utility headquartered in Pahrump. Valley Communications Association (VCA), a wholly owned subsidiary of VEA, began providing high-speed communications to member-owners in the spring of 2016. VEA’s service area starts in Sandy Valley, southwest of Las Vegas, and extends north for more than 250 miles to Fish Lake Valley.